Organic coffee vs non-organic - Which one you should drink? Organic coffee vs non-organic – Which one you should drink? Coffee is generally categorized into two i.e. organic coffee and non-organic coffee. Today I am gonna explore something about “organic coffee vs non-organic” which one you should drink? Organic coffee is grown without the use of synthetic types of fertilizers. It only relies on the natural fertility of the land on which it is grown for growth and productivity or is grown using organic fertilizers such as chicken manure, coffee pulps and other forms of organic manure. No pesticides or herbicides are involved in the process of growing this type of coffee. The land on which organic coffee is grown is usually free from toxins since it is given ample time to detoxify. No genetically modified organisms are used and in the end, it undergoes processing and packaging without any use of chemicals. Most health specialists and nutritionists recommend organic coffee for consumption because it is free from health risks i.e. chemical residues of herbicides, pesticides, colors, artificial flavors or preservatives. However, the caffeine contained in any type of coffee is not good if taken in excess. 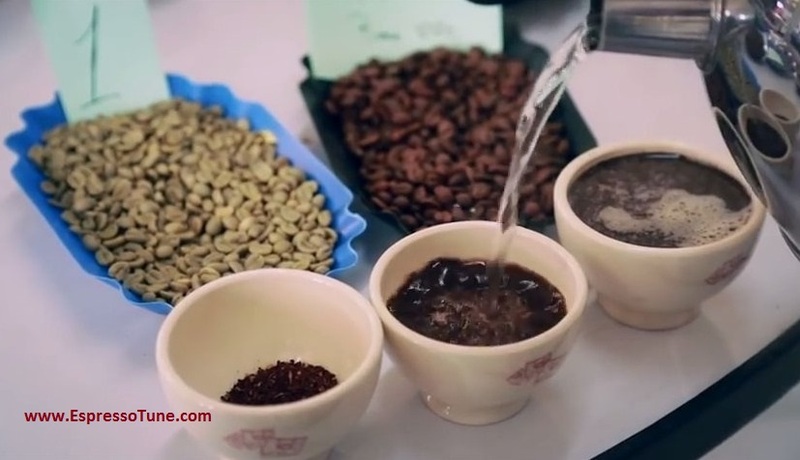 Brewing is usually the first step in the processing of non-organic coffee. It is brewed using a specialized machine called espresso machine. Water is boiled near its boiling. Espresso machine works by pressurizing boiled water through a puck of the ground coffee. 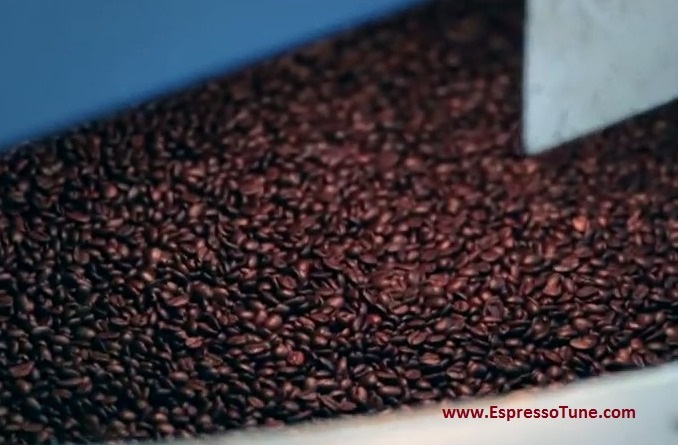 The machine has a filter which produces thick and highly concentrated coffee referred to us espresso. Espresso machine is either driven by steam, piston, pump or air pump. Some espresso machines are manual while others are automatic. In the case or non-organic coffee, very much involved in the process of growing and processing. It is grown using synthetic fertilizers that are meant to enhance the fertility of the land on which it is grown. Chemicals such as pesticides and herbicides are used to control infection of this type of coffee while still on growing. During the post-harvest stage, colors, food preservatives, and artificial flavors are used to enhance its final appeal to consumers. The risk of taking in toxins in form of chemicals’ residues is very high. Continuous use of non-organic coffee is likely to result in health hazards such as cancer. Non-organic coffee is also brewed using espresso machine as described above. The above descriptions clearly illustrate some differences between organic and non-organic coffee. In general terms, the following are the major differences between organic and non-organic coffee. Organic coffee depends entirely on organic means, non-organic coffee depends on the use of chemicals such as herbicides, pesticides, food colors and food preservatives. Non-organic coffee undergoes a series of processes and treatments. However, organic coffee does not involve such chemical processes. Organic coffee is widely grown by poor farmers, usually on a small scale since such farmers are unable to buy expensive synthetic fertilizers and in most cases, organic, its grown amidst forests and trees that protect coffee from extreme sun rays. On the other hand, non-organic coffee is mostly grown on large tracts of land and in the open space. Organic coffee has a sweet and aromatic taste due to total absence of chemicals like harmful fertilizers and pesticides. Non -organic coffee has a considerable composition of these harmful chemicals thus has a reduced aroma and is less delicious compared to the organic coffee. Organic coffee costs relatively lower in price than non-organic coffee. This is probably because the processes and expenses involved in growing and preparation involves a heavy investment of inputs. Generally organic coffee is no doubt superior to non-organic coffee in so many aspects. Organic Coffee Healthier than Non-organic? In using either of the two types of coffee, it’s important to consider pros and cons of the two types of coffee. Let us place them on the weighing scale so that decision making on the type to drink can be considerate. Organic coffee has higher levels of antioxidants absent in non-organic coffee. Antioxidants reduce the risk of suffering from type 2 diabetes which is among the major killer diseases in the world. Since organic coffee does not involve the use of pesticides, risks of contracting pesticide-related illness are also minimal. Organic coffee contains considerable levels of Chlorogenic acid which performs a key role in lowering blood pressure and blood sugar levels. Consumption of organic coffee can function as an important step in preventing such diseases and conditions. In a nutshell, drinking organic coffee does not only benefits you individually but also your nature, environment, and ecology at large. Chemical levels will reduce in your body as. A good chance to live and also make your environment a good place to live is by choosing organic coffee. It’s important to spend seconds musing over this issue, and you will change for the better. I personally recommend organic coffee for drinking than non-organic coffee.